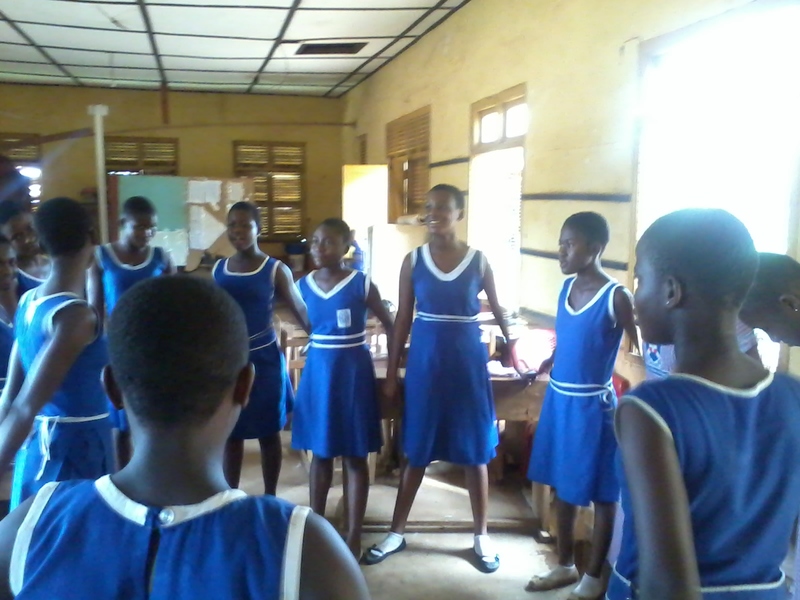 Stand Up for Girls celebrations spread across thirteen schools in Kumasi, Ghana on October 11, the first annual International Day of the Girl. In all the schools, the girls, along with other pupils and staff members stood up at noon. Each school also personalized their celebration special by organizing their own unique activities. State Experimental Schools 1 & 2 had a joint celebration, with some of the girls dressed as women who they consider fierce, fearless and free. The girls dressed as President Sirleaf of Liberia, Professor Ewurama Addy (a biochemist), Barrister Oye Lithur (a child rights activist in Ghana), and Dr. Joyce Aryee (a renowned educator). Each girl took 5 minutes to tell us about themselves, and what they Stand Up for. The activity was interspersed with traditional drumming and dancing. At Akosa Junior High School, the girls wrote letters to members of parliament to call attention to gender issues that matter to them. They also signed the Stand Up for Girls Pledge and listened to guest speakers from the Metro Education Office, who encouraged the girls to pay serious attention to their education, because that is the road to becoming fierce, fearless and free. 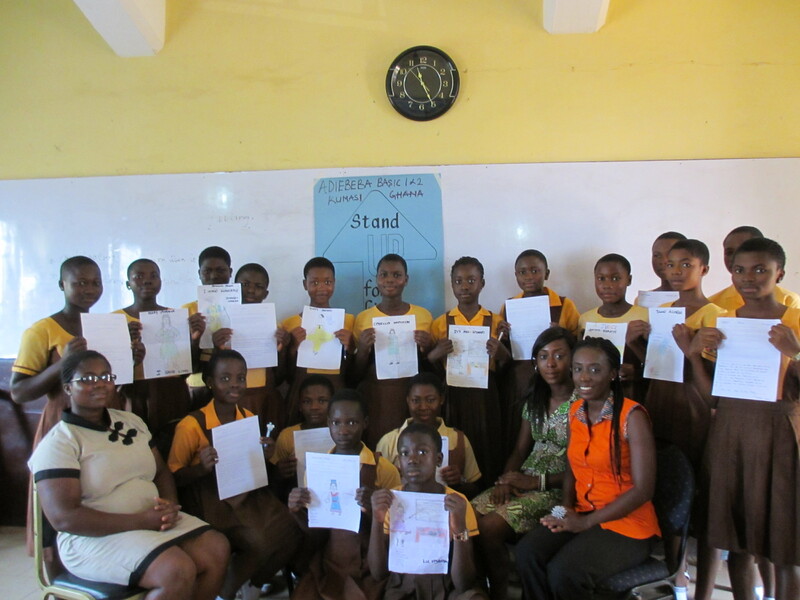 The Bantama Presby school celebrated Stand Up for Girls with poetry and a letter writing activity. The Adiebeba Schools 1 & 2 also used poetry in their celebrations and created drawings of powerful women. The Santase School held a women's party, and the Danyame, South Suntreso and State Girls School signed the Pledge, along with art and writing activities.